Gidak-on ning maong paunang tan-aw: 800 x 581 ka mga piksel. Uban pang mga resoluyon: 320 x 233 ka mga piksel | 640 x 465 ka mga piksel | 1,024 x 744 ka mga piksel | 1,200 x 872 ka mga piksel. Français : Un malacanthe bleu (Malacanthus latovittatus) à la Réunion. 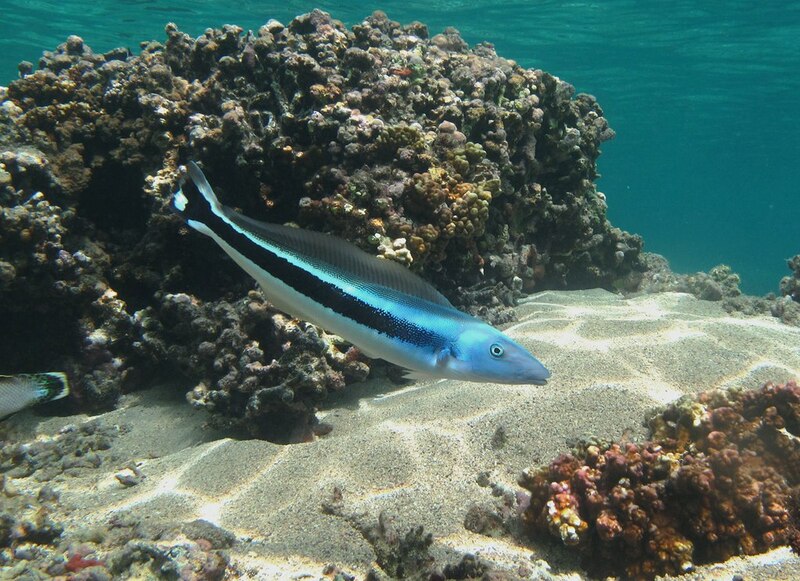 English: A blue blanquillo (Malacanthus latovittatus) seen in Réunion island's lagoon. Gigikanan The uploader on Wikimedia Commons received this from the author/copyright holder. This image has been assessed under the valued image criteria and is considered the most valued image on Commons within the scope: Malacanthus latovittatus. You can see its nomination here.